Last week as I was surfing the web looking for Bible quotes in the Kankana-ey language but couldn't find any. So I decided to order a copy from Ygeirne Molitas, who is currently on vacation in Baguio Philippines to bring me one. She told me later on that she couldn't find one for sale in Baguio. What a shame that the Kankana-ey New Testament/Bible is out of stock, worse it's out of print! I can't believe there is no Kankana-ey Bible for sale in Philippine Christian Book Store (PCBS) Baguio. 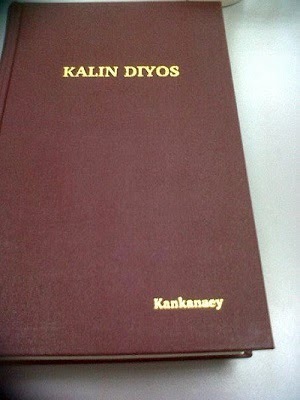 The Kankana-ey New Testament, called Kalin Diyos, meaning God's Word in a literal sense, was published in 1990. I heard that they were working on the Old Testament years ago and I thought it could have been published already. Long before there was a Kankanaey New Testament, the Kankana-ey people had been using the Ilocano Bible. When I was young, it seems funny that while we speak Kankana-ey, as soon as we are inside the church, we speak Ilocano. The sing Ilocano hymns, the pastor preach in Ilocano. I couldn't figure out why. It seems that Ilocano is the language inside the church. The fact that most Kankana-ey speak Ilocano there is no need to use the Kankana-ey New Testament. 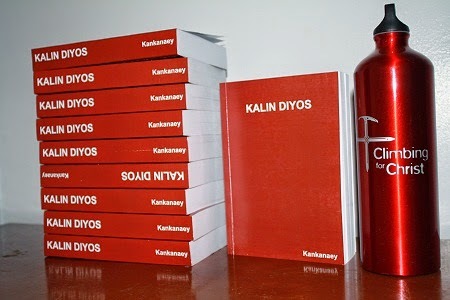 The Ilocano Bible and also Kankanaey Hymn book are widely use among the Kankana-ey people, and even after the Kalin Diyos was published, many pastors I know in the area still prefer the Ilocano Bible to the Kankna-ey New Testament. I think it's just a matter of language preference. There are at least 3 local dialects in Benguet, namely Kankana-ey, Ibaloi, and Kalangoya. For them to understand each other, they must use Ilocano language or Tagalog. Almost all people in Benguet speak Ilocano and many of the younger generation speak Tagalog. In fact, many churches in Cordillera region use Ilocano in their service. While they do so out of preference, other churches do it because the congregants are diverse; they speak different local dialects and therefore Ilocano is the interdialect to use. Another reason is Education. When I found out that there is no Kankana-ey Bible for sale, I asked myself, are the Kankanae-y people no longer need one because they are educated far beyond their need of a Bible written in their local dialect? Perhaps, another contributing factor to the diminishing interest is that fact that Kankana-ey people are also educated and understand English pretty well. Younger generation read the Bible in English, not even Tagalog or Ilocano.